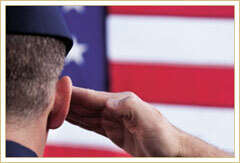 How do you achieve your goals by leveraging your military experience? Have you determined your job or career goals? Are you thinking about pursuing a degree or earning an academic credential? Are you seeking a professional license or certificate? Are you looking for resources to help you plan? Managing your transition from active duty to veteran status includes understanding your academic portfolio. Military transcripts provide documented evidence of your professional military education and training and occupation experiences. It’s important that you audit your military transcripts for accuracy and understand the details of this specialized tool. This critical step of auditing supports your research of degree programs, job pathways, certificates or professional licenses for alignment. It is also an important action in determining potential gaps that you will have to mitigate in order to meet your goals. Provide a description of military schooling and work history in civilian language. Display degrees; apprenticeships via the United Services Military Apprenticeship Program (USMAP); and certifications/licensure and tuition assistance courses (past or current) for Marine Corps, Navy, and Coast Guard Joint Service Transcripts. Serve as an advising tool as you work with academic and career counselors. Facilitate the preparation of your resume and explain military work experience to civilian employers. The JST (https://jst.doded.mil) is a document that no service member or veteran should be without. The unified transcript resolved several redundancies and allows all stakeholders (military affiliated students, academic institutions, government agencies) to concentrate on one transcript that have the same look and feel for the Army, Marine Corps, Navy and Coast Guard. Similar to standard college transcripts, the document lists all courses and occupations completed by you as a professional military learner. Many of the occupations and training courses have been evaluated by ACE to include descriptions, academic subjects and the corresponding number of recommended college credits in semester hours. The JST is owned and managed by your respective branch of service. ACE provides quality assurance audits and provides the evaluation data to the services, but does not own student records and cannot make changes. ACE credit recommendations are recognized and considered by many regionally accredited colleges and universities throughout the United States. Log on to the JST website at https://jst.doded.mil. If you are unable to access your JST account, email JST@doded.mil. The Air Force continues to utilize the transcript services from the CCAF for their enlisted personnel. ACE does not evaluate any Air Force courses that are directly aligned with CCAF. The program model combines the technical education offered by Air Force schools, a core of general education from regionally accredited civilian institutions of higher education, and management education from Air Force or civilian sources. CCAF is regionally accredited by the Commission on Colleges of the Southern Association of Colleges and Schools. If you completed enlisted Air Force training after 1972, you will need to request your CCAF. How do you understand the process of transferring recommended military credit to an academic institution? Acceptance of recommended transfer credit is determined by the receiving institution. When the college or university determines whether and how much credit to apply to your individual record, that credit will then appear on your college/university transcript. Typically, grades are not included with the transfer process, so they are not factored in as part of the grade point average (GPA). Academic institutions establish their own transfer credit policies and procedures. It is recommended that you immediately identify and locate these policies to help you understand the process and set a plan for making the most of your credit recommendations. When you research these policies, you will want to comprehend the details listed in the institution’s catalog or bulletin. Often, the transfer policies will be general in nature. As you continue to research transfer information, look for more specific requirements for credit being transferred from another accredited academic institution, the military, professional training, or testing. Many institutions also post their transfer policies on the institutional web site. You may want to search for keywords such as transfer credit; military transfer credit, or transfer policies. Research and identify an academic institution that meets your individual needs. You may want to select an institution and academic programs that have policies to maximize your nontraditional learning (military credit, CLEP, DSST, etc.). Learn, understand, and know your academic institution’s policies and procedures regarding transfer of credit. These practices are established by each institution and will vary. Audit and review your military transcripts periodically (every six months if on active duty) for updates and modifications. Start the transcript and transfer review process early, with your application to the institution. Have all of your official transcripts from previous colleges and service branches sent to your new school for evaluation before you start taking any classes. Official copies must bear the appropriate institutional signatures, seal and date of issuance. Speak with your academic adviser. He or she should be able to help you avoid taking classes for which you may receive transfer credit until an official evaluation is completed. Many students waste valuable time and money taking classes that are unnecessary duplications of previous courses, because they signed up before their military and prior college transcripts were completely evaluated. Review your degree plan and identify potential academic courses for transfer. Consider the level of the credit recommendation and analyze the appropriateness to the degree plan. Identify the comparability of the course in terms of the credit recommendation. For example, how does the content of the institution’s academic course compare to the ACE Military Guide exhibit in terms of the learning outcomes and topics? Take ownership during the transfer process by following up with the transfer, registrar or admissions department. Monitor your curriculum plan, transfer approvals, and documentation within formal university systems (degree audit). By compiling and organizing this information, you will be ready to maximize your college credits, as well as have a better idea of the remaining courses you will need for degree completion. An online resource available to you is A Transfer Guide: Understanding Your Military Transcript and ACE Credit Recommendations. This tool was designed to help you understand military transcripts and basic information about transfer policies and issues. The more successfully you navigate through the process of transfer credit for military training and experience, the bigger the return. The publication serves as a resource for understanding military credit recommendations, military transcripts, and its use when transferring to an academic institution. The topics are presented in a straight-forward, non-technical manner that allows you to quickly understand the American Council on Education (ACE) credit recommendations and transfer credit policies. What is the ACE Military Guide? For more than a half century, the Guide to the Evaluation of Educational Experiences in the Armed Services has been the standard reference work for recognizing learning acquired in the military. The Military Guide (www.acenet.edu/militaryguide) contains ACE credit recommendations for formal courses and occupations offered by the services as individual exhibits. The Guide is a tool used synchronously with the JST to expand the details of the credit recommendations that are provided on the JST. The evaluation of courses and occupations is a continuous process executed by ACE. These entries are added daily and synchronized at 0200 ET every day. Why the American Council on Education (ACE)? Since 1945, ACE has evaluated military training and experiences to gauge their eligibility for college credit recommendations. In 1974, Military Programs began the assessment of military occupational specialties. More than 2,200 higher education institutions consider the credit recommendations which can also assist you with career advancement. It is up to institutions to decide on a case-by-case basis whether to accept credit recommendations. ACE’s Military Programs is part of the Council’s Center for Education Attainment and Innovation, whose mission includes helping more adult learners, like you, gain college degrees and credentials. What about other corporate and government training? What are some quick resources? The Defense Activity for Non-Traditional Support (DANTES) provides service specific websites with information about the various programs and services offered to the military student (http://dantes.doded.mil/service-members/index.html). 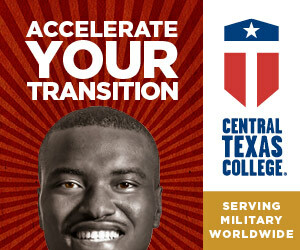 A Transfer Guide, Understanding Your Military Transcript and ACE Credit Recommendations (http://www.acenet.edu/news-room/Pages/Transfer-Guide.aspx). The ACE Military Guide presents credit recommendations and detailed summaries for formal courses and occupations offered by all branches of the military (www.acenet.edu/militaryguide). Servicemembers Opportunity Colleges (SOC) Degree Network System (DNS) arranges guaranteed degree completion pathway opportunities (https://www.gosoced.org/student-agreements/). Troops to Teachers (http://www.proudtoserveagain.com/) and Helmets to Hardhats (http://www.helmetstohardhats.org/) are two sample pathways to the workforce that leverage military experience. 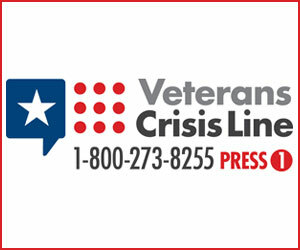 Student Veterans of America (SVA) is a great resource for both veterans and academic institutions (http://studentveterans.org/). O*NET (https://www.onetonline.org/) and My Next Move for Veterans (https://www.mynextmove.org/vets/) provide career exploration tools and data to inform you of the rapid changes in the civilian workforce.